U.S. policymakers need "to take al-Shabaab seriously" when the Somali terror group talks about targeting the United States, longtime federal prosecutor W. Anders Folk told the Investigative Project on Terrorism. He emphasized that Al-Shabaab, al-Qaida in the Arabian Peninsula (AQAP) and the larger al-Qaida organization share a common ideology: one marked by virulent hostility towards America. Al-Shabaab's ideology "is almost word for word similar to what we heard from al-Qaida pre-9/11 and what we have heard post-9/11. What we hear is an ideology that endorses murder of innocent civilians," Folk said in an interview. "We see al-Shabaab training their recruits in tactics and techniques similar to what recruits learn in Afghanistan and Pakistan." As with al-Qaida, al-Shabaab recruits receive military training and Islamist religious indoctrination. They are taught skills that "have been constants from terrorist training camp to terrorist training camp," Folk said. According to an investigative report issued in July by the House Homeland Security Committee's majority staff, Shabaab-related federal indictments "account for the largest number and significant upward trend in homegrown terrorism cases" filed by the Justice Department, with at least 38 cases unsealed since 2009. 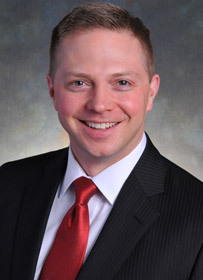 Folk, who prosecuted many of those as an assistant United States attorney for Minnesota from 2005-10, joined the Minneapolis law firm Leonard, Street and Deinard. He emphasized that al-Shabaab's strategic goals are not limited to seizing power in Somalia. The July 2010 twin bombings in Kampala, Uganda which killed 76 people demonstrated that al-Shabaab "is operational outside Somalia," Folk said. "They have actively sought out through the Internet and other digital media recruits from the West, [and] we've heard at least one of these recruits discussing a call to jihad by individuals in the United States." Folk was referring to Abdisalan Ali of Minneapolis, identified by al-Shabaab as the suicide bomber in an Oct. 29 attack in Mogadishu that killed 10 people. "My brothers and sisters, do jihad in America, do jihad in Canada, do jihad in England, anywhere in Europe, in Asia, in Africa, in Australia," Ali said in an audiotape message released by al-Shabaab. He was the third Somali-American since October 2008 to blow himself up while fighting for al-Shabaab. The House Homeland Security Committee concluded that 40 or more Americans have joined the group, with at least 15 of them dying while fighting alongside al-Shabaab. "Nowhere near that number of Americans have been killed fighting with any other foreign terrorist group," the panel said. "At least 21 or more American Shabaab members overseas remain unaccounted for and pose a direct threat to the U.S. homeland." Asked about assertions that al-Shabaab is too small to endanger the United States, Folk responded that said many people believed the same thing about al-Qaida in the Arabian Peninsula (AQAP) right up to Christmas Day 2009, when Umar Farouk Abdulmutallab, a Nigerian national, tried to carry out a suicide attack on Northwest Airlines Flight 253 using explosives concealed in his underwear. The attempted attack on the plane, which was flying from Amsterdam to Detroit, showed that AQAP could no longer be dismissed as a purely regional threat. Folk believes that al-Shabaab, which has made numerous threats against the United States, could also develop its own capability to target this country. The failure to prevent Abdulmutallab from boarding Flight 253 offers a "sobering" assessment of the gaps in U.S. security procedures, he said. Abdulmutallab's father, a prominent Nigerian businessman and former cabinet minister, had repeatedly warned U.S. officials that Umar was dangerous. He tried to persuade American diplomats that as a radicalized Muslim who had dropped out of school in Great Britain and traveled to Yemen, a hotbed of radicalism, his son posed a threat. U.S. officials said the information provided by the father was not specific enough to take away Umar's visa or place him on a no-fly list. He was instead put on a lower-security "watch list," allowing him to board the U.S.-bound flight he attempted to bomb hours later. In Somalia, a country without a functioning central government, U.S. security officials face much greater challenges in obtaining information about jihadist threats. Somalia "lacks any infrastructure, any real central government," Folk said. "There's no passport control, no border or customs, no central computers to monitor whether people are coming and going through the country." 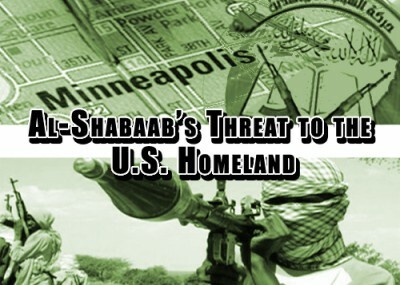 Perhaps no community has been more heavily impacted by al-Shabaab activities in the United States than Somalis in the Minneapolis-St. Paul area. Since September 2007, more than 20 men,most of them ethnic Somalis, left the Twin Cities and traveled to Somalia to train with al-Shabaab. Al-Shabaab's recruiting includes Internet videos aimed at glamorizing its activities. They celebrate the deaths of "martyrs" in fighting for jihad and ridicule their enemies in Somalia and the West. In Minneapolis, al-Shabaab also used its American recruits to recruit new jihadists, Folk said. One of those he prosecuted was Mahamud Said Omar. A Somali-American and legal permanent resident of the United States, Omar was extradited back to America from the Netherlands in August to stand trial on charges of providing material support for terrorism. The first group of Minnesota men to go to Somalia to join al-Shabaab left in December 2007. According to a federal affidavit outlining the government's case against Omar, he "provided money to members of the conspiracy to facilitate their travel to Somalia and told the men that he would support them financially in Somalia." In January 2008, Omar traveled from Minnesota to Somalia, where he visited some of the Minnesotans at an al-Shabaab safe house, the affidavit said. He stayed there overnight and provided money to support operations there and purchase an AK-47 assault rifle. Omar returned to Minneapolis, and in August 2008, he allegedly accompanied two Shabaab recruits from Minnesota to the airport to begin their travel to Somalia. According to Folk, a violent, tumultuous one-week period in the fall of 2008 serves to illustrate the power of al-Shabaab's jihadist message. On Oct. 29, 2008, one of the men who had left Minnesota the year before and had stayed at the same safe house as Omar participated in one of five simultaneous suicide bombings in northern Somalia which killed 20 people. He was Shirwa Ahmed, 26, who drove a Toyota truck packed with explosives into an office of the Puntland Intelligence Service. A naturalized U.S. citizen, Ahmed became the first American suicide bomber in Somalia. Prosecutors say that a few days after Ahmed blew himself up, Omar hosted a gathering for several men who were about to leave Minneapolis for Somalia. Two of those who attended the gathering left the Twin Cities days later to join al-Shabaab. This combination of mass-casualty terror followed by additional jihadist recruitment provides the best evidence of the power of al-Shabaab's message, Folk told the IPT. It tells the American people "everything you need to know" about the effectiveness of the rhetoric al-Shabaab uses to recruit new members. Federal authorities wiretapped Omar's telephone while investigating the disappearances. Investigators say they recorded conversations in which he expressed concern about the "uproar" over the disappearances and said he might leave town. Omar left the United States in late November 2008. A federal grand jury indicted Omar in August 2009 for providing material support to terrorism. Arrested by Dutch authorities several months later, Omar was extradited to the United States in August. He pled not guilty and remains in jail awaiting trial. Despite a continuing U.S. government campaign against al-Shabaab, the group shows no signs of ending its efforts to recruit Americans. Folk believes that Omar Hammami (AKA Abu Mansur al-Amriki), a Muslim convert from Alabama who is a senior al-Shabaab commander, "is a great PR tool to recruit Westerners," telling people that "You too can come over to Somalia and enjoy great success and power like I did. You can speak English and that'll work just fine." In order to defeat al-Shabaab, "you have to have a multi-pronged attack," he added. This approach would range from outreach to Somali communities in the United States, to "expanding bases in the Horn of Africa," and "the increased use of drone surveillance and drone strikes as a way to kind of get at the root of the problem in Somalia." In addition, the federal government must use "all means at its disposal, including electronic surveillance, and all of the other tools" law enforcement has "to identify whether there are criminal conspiracies in the United States reaching back to Somalia to support Shabaab." Al-Shabaab has many reasons to continue recruiting Americans, because they provide an important source of manpower for the terrorist enterprise. The Minneapolis recruits have worked in "all aspects" of the al-Shabaab's operations, Folk said, including combat, suicide bombings and military recruitment. In addition, Americans could prove useful in attaining another Shabaab goal – striking the United States. "Travel documents are quite important because it's difficult to get into the United States," he said. "If you have U.S. travel documents, it reduces the barriers to entry."